SAP Business One is an ERP system which not only collects data, but also analyzes data to help you make decisions. In the dashboard users can select the KPIs that they are interested in and get real-time exact information based on the data SAP Business One collected. But data analysis can also show on the side of documents as seen below. Here besides Analytics, users can also check UDF and Recommendations. If you want a form instead of a chart, just click the form icon at the top left corner. How to Link the Analytics Dashboard? Go to Pervasive Analytics on the tool bar and choose the Dashboard you want it to be linked with or create your own dashboard here. 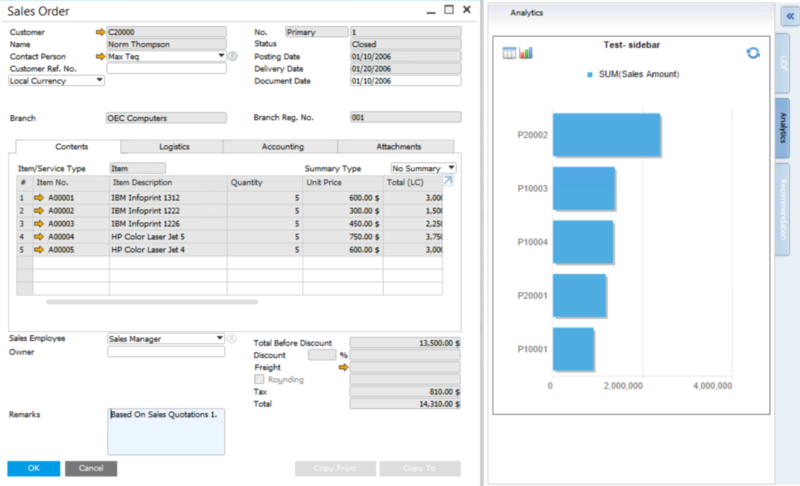 Choose Action at the top right corner and select “Display Dashboard in Sidebars.” Select target SAP Business One window and save the action. Finally, go to the target window and see the real-time analysis! 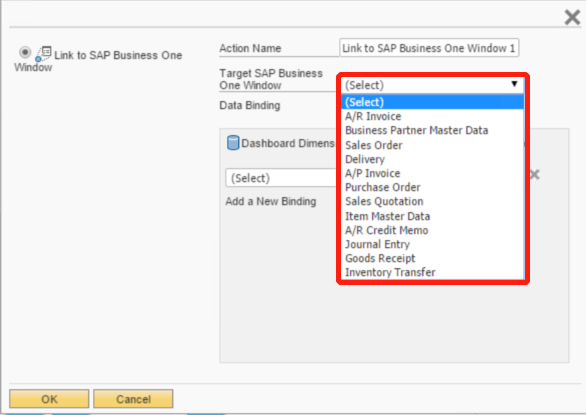 If you are interested in how to set up authorizations, please visit Authorizations in SAP Business One.